A great new episode coming your way with the director of the new road comedy The Long Dumb Road, Hannah Fidell. Her film follows the sheltered Nat (played by Tony Revolori) as he drives cross country to attend art school in Los Angeles. On his way he picks up a hitchhiker (played by Jason Mantzoukas) who shakes up Nat's close minded worldview. 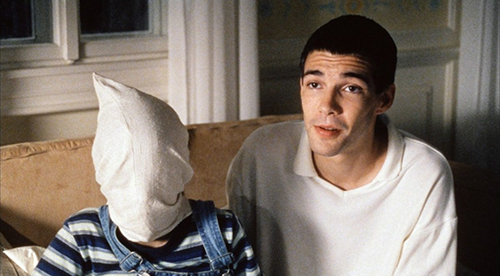 The movie that Hannah has chosen to discuss this week is Michael Haneke's Funny Games. She sort of picks both the American and Austrian version since they are almost perfectly identical films. April calls Hannah's own film The Long Dumb Road a comedic Funny Games, since both deal with an intruder breaking the unwritten rules of politeness and social decency. Hannah and April really dig into the genius of Haneke and his masterful filmmaking. They elaborate on how Funny Games is eerily prescient in its prediction of the emergence of "alt-right trolls." April also reveals that this movie was somewhat born out of Haneke's hatred for Natural Born Killers and how this Austrian film was really intended for American audiences. Check out The Long Dumb Road streaming now. And if you haven't seen it yet, go watch Funny Games, either the Austrian or the American version.